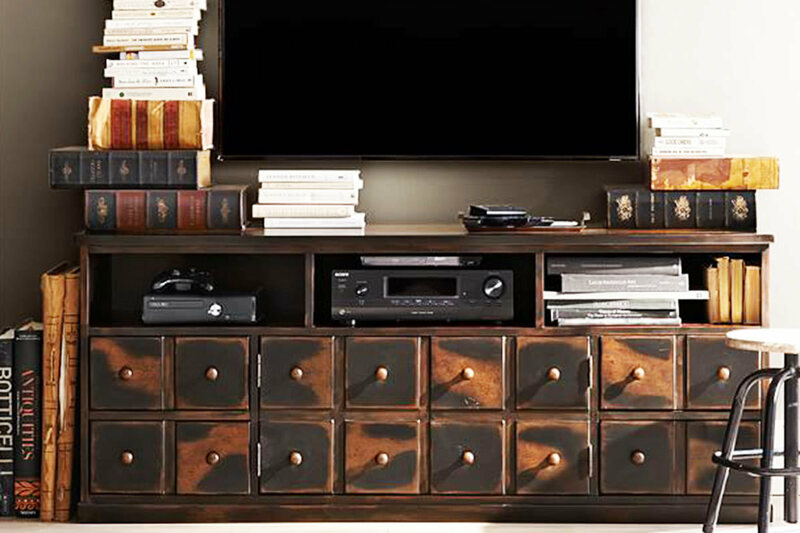 The Prime Media Console is an easy aesthetic choice for anyone looking for an industrial media console. This console will suit just about any style of decor and comes equipped with two exposed shelves and two drawers on smooth steel glides. The wood body is constructed of eco-friendly shesham wood and sits atop a solid iron frame. Wire cutouts at the rear make for easy cord organization. This console is best suited for televisions that are 42" or smaller. 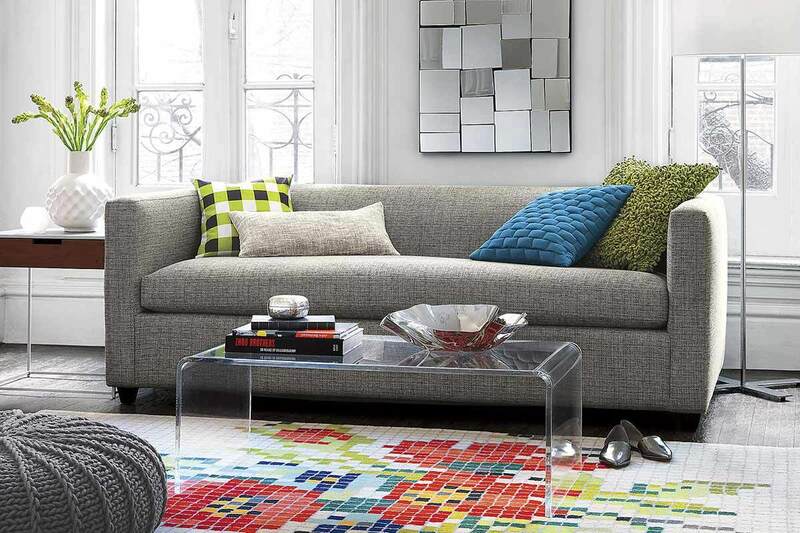 You can pick this piece up from CB2 for $699. This option might be a little on the nose for some but if you're looking to increase the level of industrial style in your living room then there's no other choice. West Elm welded raw steel and left the soldered edges exposed to add to the unfinished look of this console. Glass doors on the cabinet put things on display but in a way that adds style to the room (particularly if you fill at least a couple shelves with books). The console sits on top of four castor wheels with the two in the front which lock into place, this allows you to easily fiddle with wiring through the cutouts at the back. This console can be ordered on sale from West Elm for $549. 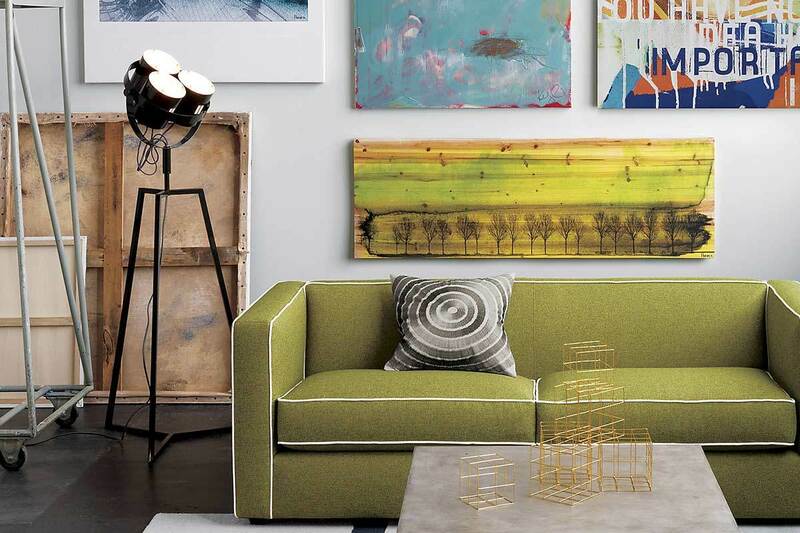 While this size is suited to televisions 50" or smaller, West Elm also offers a larger size which I just purchased for my own home! This console is best suited to a TV that is 55" or smaller and is full of surprises. Evocative of a clerk's cabinet with many small drawers this console has a hidden secret. Two cabinet doors in the center that conceal two adjustable shelves. 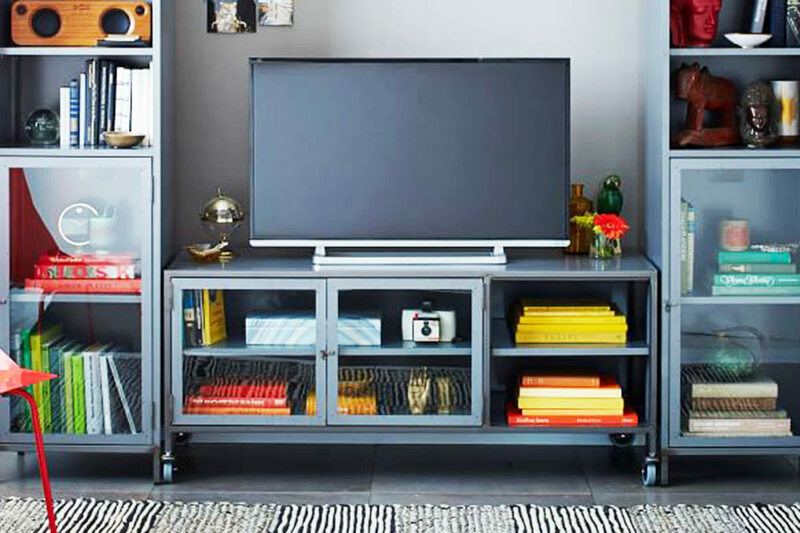 This allows you to stow away all or some of your media tech while leaving those exposed shelves for whatever else you like. On top of that storage, this console also has eight functional small drawers for extra storage. This is the perfect option for someone who is looking for an industrial media console with lots of storage. It can be purchased for $1099 from Pottery Barn. Now the name of this console may sound suspiciously like a Cuban sandwich but as you can see it is a perfectly functional media console. Slightly more rustic than our other options this cabinet can easily fit with an industrial decor. It's solid iron hinges and hardware along with the glass panes make this cabinet look one part coal fireplace and one part antique cabinet. Layers of paste wax and black paint give this piece it's deep black finish. 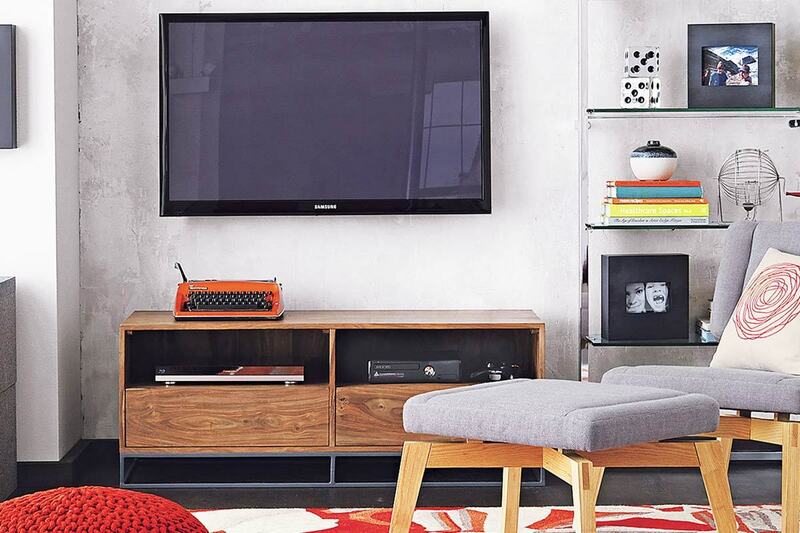 This console comes in a few different sizes but pictured above is the 62" which goes for $999 from Crate & Barrel. This piece from Restoration Hardware has to be one of our favorites. 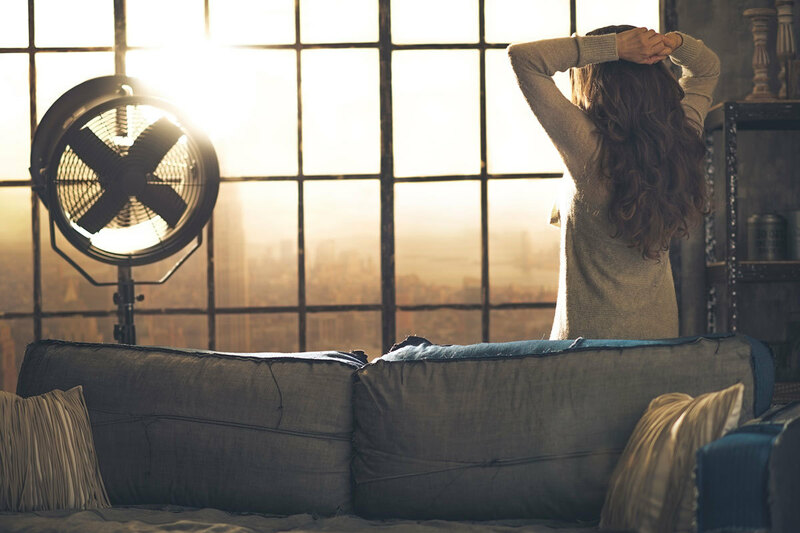 While it might be a little too dark and serious for some rooms, it can also be the center-piece of another. Inspired by a tool box from a French Automobile Factory from 1900, there's no subtlety to the industrial style of this console. 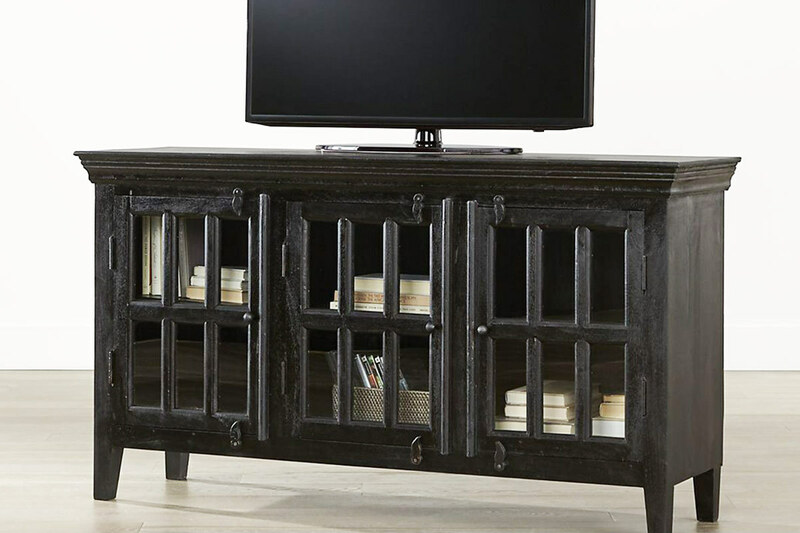 Aside from its aesthetic qualities this media console is also supremely functional. Two mesh cabinet doors in the center house shelves for media equipment which might require infrared line of sight and two solid doors on the side for any other storage you might need. This cabinet is handcrafted of iron and is bound to last you a lifetime if you treat it right. The medium size is best suited to TVs that are 55" or smaller but there are a smaller and larger option as well. This kind of quality does come with a price tag... 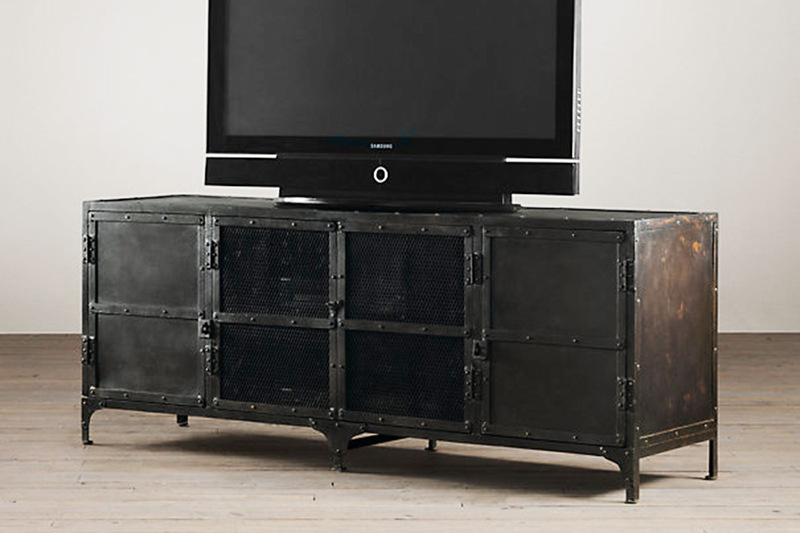 If you love this industrial console you can pick it up from Restoration Hardware for $1695.